ChefShop.com/enews - "Atlas Mountains Olive Oil, Gluten Free Cakes and Hawkshead Relish Sticky Toffee Sauce from chefshop.com"
These two distinct and delicious flavors are divine together. Fresh, tart grapefruit is infused with ginger's spicy heat in this treat of a pink marmalade. Hawkshead is masterful at creative combos in their savory chutneys and relishes (have you tried the Hot Banana? ), and their touch is just as sure with fruit. It’s been a long dry period of time where, with few exceptions, olive oil has been at best boring. 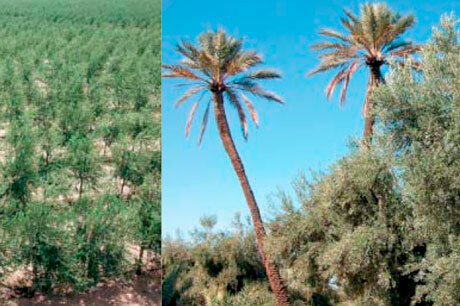 The weather, too much rain, too little rain, too hot, too cold, has reeked havoc worldwide on the crops. Specifically, we have found only lackluster flavor in the many bottles of olive oil that we've been tasting over the last 18 months. So, to our excitement, we were surprise when an amazing oil “walked” into our store a couple of weeks ago. This oil, at first nose, smells alive with a sense of purity. Desert Miracle has a filling mouth feel, like a French oil with hints of Spain in the floral sides, finishes smooth and clean. Les Terroirs of Marrakech has an olive-filling mouth with a hint of bitter, which is a nice contrast, finishing with a 3-count before the pepper finish. Both oils are wonderful and taste like, big surprise, olive oil! Dancing and alive, rich and full. Made with a wonderful blend of olives, these oils reflect the care and attention to detail that makes them interesting, smooth, and very enjoyable. Different enough to try, but not so foreign from their roots of Spain or Italy. These blends are oils to have. 500 ML at this price is a steal and will change your view of what's good in a bottle. You will definitely enjoy! Click here to shop for olive oil. We rarely consume this gluten free cake unadorned; it looks a little plain Jane or even downright dowdy when first taken out of the can. But, you definitely can. Although they use same cool technology to package up this cake as they do sardine, the contents, of course, are quite different - and some would say the contrast is like going from unpleasant to pleasurable. Roll the cover back on this can and you reveal a cake that is so rich only a football player in his prime would consider more than a sliver necessary. When topped with the simplest of ingredients, whipped cream, this cake is like a kickoff return that races its way to a touchdown. Quite a glorious moment! Take the almond or lemon cake, top it with whipped cream and finish with a dollop of Blueberry Extra Jam from Hawkshead Relish Company, you then have something starts to resemble a meal. You could skip dinner and eat dessert first, as life is too short .... and then finish with a bit of cheese, if you feel the need for some protein! No home should be without a jar of Sticky Toffee Sauce. Heat and pour over sticky toffee pudding or ice cream. At home we sauté bananas in butter for a couple of minutes, then serve with Sticky Toffee Sauce poured over the top with a spoon of vanilla ice cream. Toffee says “sticky” and the name tells it all. It’s one of the original reasons we started carrying Hawkshead Relish Company foods. 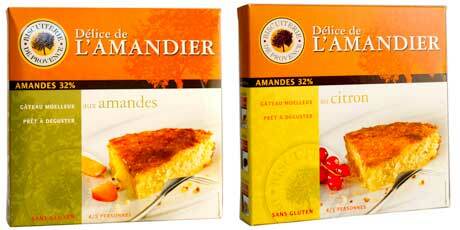 With so many awards and accolades in England, this Lakeland District food producers is spot-on! Mark and Maria make many good and fun foods. A jar of this stuff never goes to waste! The Hawkshead Relish Company opened their doors in rural Cumbria in 2001 and they've taken home over 30 Great Taste Awards for their handmade relishes, pickles and preserves. All of their products are handmade at Hawkshead in the English Lake District using the finest, freshest ingredients, including spices that are roasted and ground as they are required ensuring the freshness; they use no artificial colorings, flavorings or preservatives. 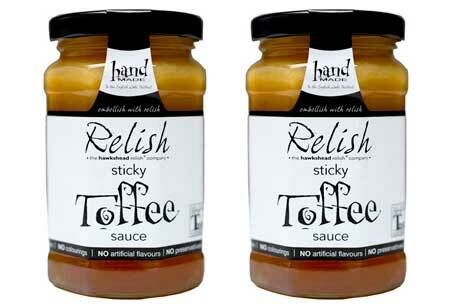 Shop now for Sticky Toffee Sauce! In Italian, agrodolce means "sweet and sour," and this nuanced vinegar beautifully expresses both. Albert and Kim Katz have long been fascinated with the idea of marrying the sweetness and complexity of wine grapes that have been left on the vine to concentrate the flavors and natural sugars, together with bright and crisp acidity. The versatility of this elixir will expand the repertoire of every level of cook. This excellent vinegar has a rich, complex flavor - try sipping a bit from a spoon. 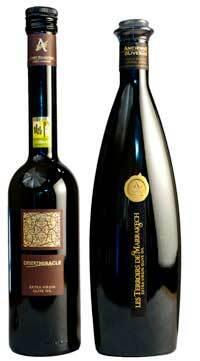 While the nose combines fruity with pleasantly sharp, the flavor is rich, mellow and winey. Use this anytime you'd use red wine vinegar. For a simple salad dressing, just add a drizzle of olive oil, along with salt and pepper. You'll find you'll need less oil with the balanced acidity in AgroDolce than in your regular dressing recipe. It's great for sauteing, stir fries and marinades. We have our spoons out, waiting for our box to arrive at the shop. Oh, what memories they evoke as soon as we see their distinct shape! We have started to ship the pre-orders. It's time to order yours. This year we are expecting a limited amount due to the weird weather. Our shipment has landed! Time to get that special Hawkshead product you have been waiting for. Order six of any product, and get a volume discount! White rice is out, and heritage grains are all the rage. Just as independent farms throughout the US are working to resurrect ancient grains we thought were lost to the American diet all together, we are coming up with new and delicious ways to bring them to our dinner table. Black Nile Barley, Red Quinoa, Emmer, Spelt, Brown Rice, Millet and Einkorn are just a few of the the exotic names we hear. Chef Lauren will show you how to make them right. Mexican cooking is full of subtle techniques, savory ingredients you never expected, and combinations of flavors that make your eyes pop... and our taste buds smile. And since the class ends with feasting on the dishes we prepared, you'll go home with more than enthusiasm for the delicious cuisine. The cookbooks of the era reveal the Ottoman court culture to have been as food obsessed as the most passionate modern foodies. Relive Chef Lesa's trip to Istanbul, and savor recipes from the kitchens of Topkapai Palace as she discusses the rich history of this ancient cuisine, and recreates some of their dishes. This elegant, versatile dressing is ideal for grilled beef, lamb, or Portobello mushrooms; or drizzled over white beans, lentils or a fresh heirloom tomato salad; or tossed with warm greens with pears, Prosciutto and a good quality blue cheese...just a jumping off point! A perfect, wholegrain vehicle to get the luscious Sticky Toffee Pudding into your tummy. A great combination of whole grains and healthy Reed Avocados. Manga! You've received this email because you have purchased from us or subscribed. We respect your privacy online, and will never share your email address.